In a discussion with the provincial minister for sport about how to increase gender equity and inclusion in sport leadership, Ontario Basketball (OBA) was invited to the table. 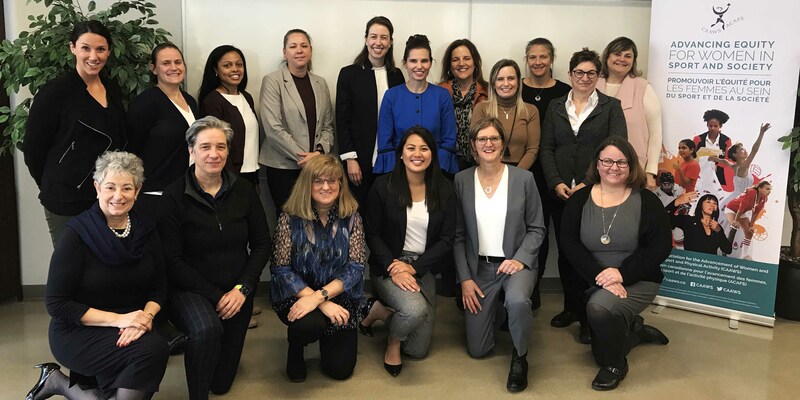 The Honourable Kirsty Duncan, Minister of Science and Sport, joined the Canadian Association for the Advancement of Women and Sport and Physical Activity (CAAWS) on Nov. 13 for a roundtable discussion in Toronto with 13 female sport leaders passionate about championing gender equality in sport. Basketball was well represented by Lindsay Walsh, OBA Director of Basketball Development, alongside representatives from Canada Basketball and not-for-profit community organization, girls addicted to basketball. They were among leaders from all levels of the sport system, from grassroots to high performance and from local organizations to provincial and national governing bodies, as well as leaders in business, media and academia. The roundtable served as an opportunity for these leaders to share their experiences and recommendations for creating change with Minister Duncan, who chairs a Working Group on Gender Equity in Sport. The conversation will inform the future discussions and perspectives shared with the working group. OBA‘s Lindsay Walsh is also involved in a national collaborative of 150 female leaders across sectors focused on advancing opportunities for women through the Status of Women Canada as well as a sport-specific project with CAAWS and Ontario Soccer to help advance the mission of the collaborative.